The preview of Stirling Residences will be held on the weekend of June 30. 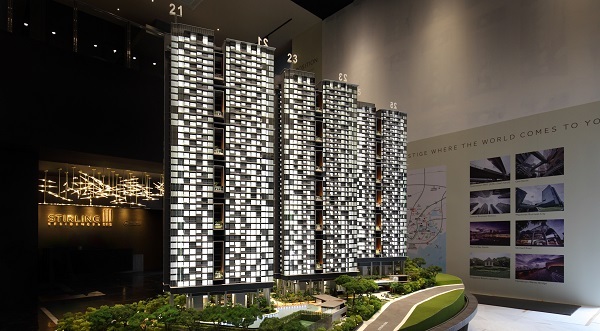 The 1,259-unit private condominium is the maiden Singapore residential project by Hong Kong-listed, Shenzhen-headquartered property developer Logan Property Holdings Co.
Stirling Residences is a 51:49 joint-venture project between Logan Property and Chinese developer Nanshan Group. 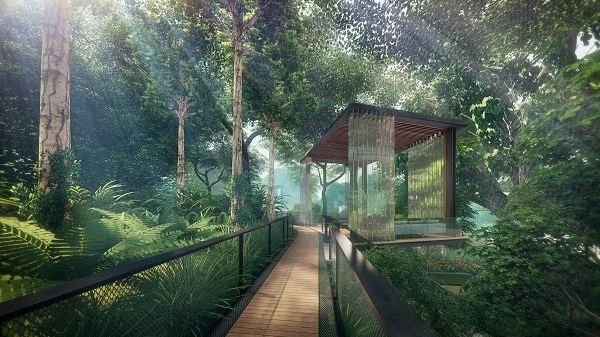 For Nanshan Group, Stirling Residences will be its second residential project in Singapore. Its first was the 288-unit Thomson Impressions, located on Sim Ming Avenue, off Thomson Road. Launched in November 2015, the private residential project is fully sold except for two strata houses. It is expected to obtain its Temporary Occupation Permit in July. Logan Property and Nanshan Group won the 99-year leasehold, 227,220 sq ft site on Stirling Road, located off Commonwealth Avenue, with a top bid of $1.003 billion, which translates into $1,051 psf per plot ratio (ppr). It beat 17 other bidders in May last year, winning the first fully residential site that crossed the billion- dollar mark. The bid price was considered high even in psf ppr terms until it was surpassed two months later by a consortium led by Singapore- listed construction group Chip Eng Seng Corp, which won the Woodleigh Lane residential site 12 months ago with a bid of $700.7 million, or $1,100 psf ppr. The site will be developed into the 805-unit Park Colonial, which will also hold its preview on June 30. Whether you are looking to buy, sell or rent apartments, condominiums, executive condos, HDB flats, landed houses or commercial properties, we bring you Singapore’s the most comprehensive and up-to-date property news and thousands of listings to facilitate your property decisions. Make better decisions with our easy-to-use free and paid tools. The Edge Fair Value tool lets users calculate the fair value of a property and find properties below market value in Singapore. Meanwhile, discover all things en bloc, including Singapore en bloc news, trends and our En Bloc Calculator, which helps to determine the probability of a Singapore project being put up for collective sale. Aside from that, EdgeProp also offers a market trend tracker that lets you access historical property data, sales volume and compare how similar properties are selling, a heat map that lets you find out where all Singapore’s most popular property sales locations are, a HDB lease tool that lets you calculate your HDB tenure, an affordability calculator, and a property watch list to track your preferred Singapore property by project or location, as well as new launches.